We take reservations until the end of 2020. You can taste or purchase our wines at the Estate in Monoszló - during summertime you are welcome at any time, off season please ring us first at +36/70-318-5956 – or in different restaurants and liquor stores. You can find the list of our partners on the site. You can also order them through our web shop included in this site. Check it out, and order now. The Liszkay Wine Estate is a perfect location for exclusive weddings and corporate management gatherings up to 150 people. The seclude environment attracted on famous personalities for weddings and special events. You will find perfect harmony and comfort in the midst of pristine, breathtaking wine lands. Click here! Consider the most enchanting spot for your most memorable moment. 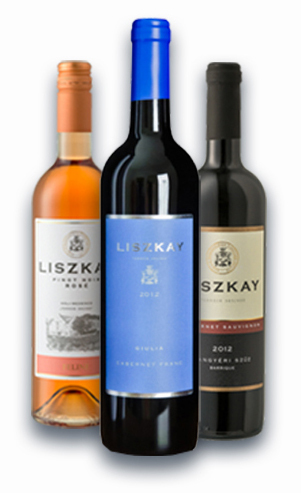 Be the owner of the Liszkay Estate for your wedding weekend! Award: "The most beautiful winery in Hungary"
A weekend country wine excursion you won't soon forget. From Budapest a one-and-a-half hour drive to the wonders of Europe's largest lake. Come stay with us and experience the unique Tuscany feeling during your visit to the Balaton. Ever dreamed of owning a wine estate for a week with your family, company or best friends? Rent the entire estate with your personal chef and butler.